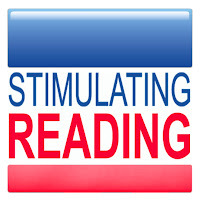 The Written Nerd: Monday Launch: Stimulating Reading! Your constant (& quality) blogging is more than impressive. I've been a reader for a while, but I think this is my first blog comment. Hoorah! I am 25, a Sunset Park resident, book collector, poet, writer, & soon to be publisher as well. Especially given the nature of this post, perhaps the time for further chat or even a meeting has arrived. You can get in touch with me at patrick.lovelace@gmail.com, if you please, & best of luck. Perhaps I may be able to help.